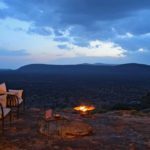 A 6 nights / 7 day safari uncovering two of Kenya’s hidden treasures – the less explored and most unique wildernesses of Samburu and the Chyulu Hills. All inclusive from US$5,555 per person sharing (low season rate). Including: All-inclusive accommodation (Full board accommodation including soft drinks, beers, house wines and select non-luxury spirits), one complimentary Back & Neck massage (30 min) per room per stay at our Samburu Wellbeing Space, airport assistance, temporary Flying Doctors cover, shared day & night game drives in 4×4 vehicles, guided bush walks, bush meals, sundowner & picnic excursions, limited laundry service, cultural visits transfers, all internal flights and return airstrip transfers, conservation fees, VAT & taxes. 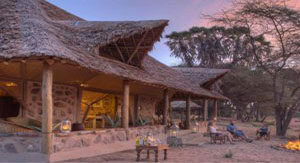 Including: Full board accommodation & drinks (Soft drinks, house wines, selected spirits, local beers), game drives in open Land Rovers, escorted game walks, bush meals & picnics, cloud forest walks, Maasai cultural villages visits, bird watching, visit MWCT programs, star-gazing, Chyulu National Park excursions, Maasai kids safari & horseback riding. 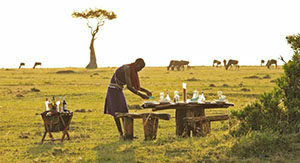 This is a journey of tribal cultures, of massive mountains, of spectacular views and of secluded, authentic African gems. 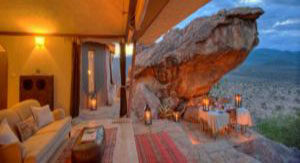 Discover the rugged, unending scenes of Samburu, the raw beauty and diverse ecosystem, where enormous herds of elephant traverse the vast, arid landscape and leopard den in the rocky outcrops. 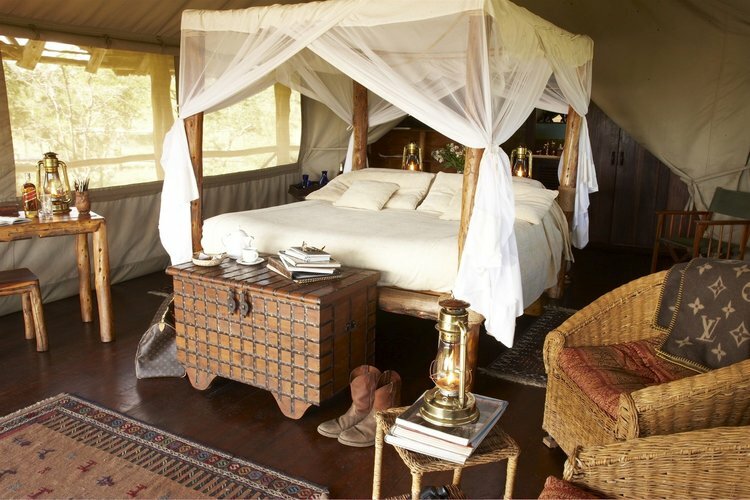 Experience the iconic land that so profoundly inspired Ernest Hemingway, the Chyulu Hills; a jewel of clouded forest and savannah plains, tucked between Amboseli and Tsavo National Parks, overlooking the highest and most iconic mountain in Africa, Kilimanjaro. Encounter two of Africa’s most authentic and fascinating tribes – the Maasai and the Samburu – learning first-hand about their cultures, ancient customs and local knowledge of the wildlife and wilderness as they guide you throughout your safari. Saruni Samburu’s six luxury villas are open and spacious, heralding spectacular views over Kenya’s Northern Frontier District and Mount Kenya in the distance. The warm and welcoming hospitality makes for an intimate and exceptional experience. The lodge is revered for its innovative, eco-chic architecture and interesting design and décor, as well as its Italian-inspired cuisine. 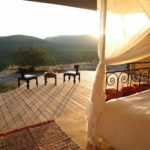 Guests can enjoy the vast panoramas from the dining and lounge area, the infinity pool and the Samburu Wellbeing Space. Saruni Samburu is the only lodge in Kalama Conservancy, which borders Samburu National Reserve, with 200,000 acres of unspoiled wilderness to explore and enjoy exclusively. You are guided from start to finish by Samburu warriors who are passionate about their land and their culture, learning first-hand about their fascinating customs and traditions and gaining ancient, local knowledge about the land and the animals – a truly authentic experience. Activities and amenities: day and night game drives, photographic hide, bush meals, guided walks, birdwatching, Samburu Wellbeing Space treatments (payable extra), picnics, two swimming pools, helicopter excursions (payable extra), Samburu cultural visits (payable extra), Saruni Shop. 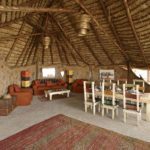 Campi Ya Kanzi is a pioneering and award-winning eco-tourism lodge situated at the foot of the legendary Chyulu Hills and overlooking the mighty and majestic Mount Kilimanjaro. Explore 280,000 acres of protected cloud forest and savannah plains in complete privacy, home to a diverse, unique and plentiful range of wildlife, birdlife and plant life. 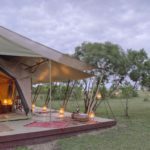 Enjoy the classic ‘safari under canvas’ feel at Campi Ya Kanzi’s six, thatched, luxury tented cottages, each secluded and attended by its own dedicated Maasai assistant. 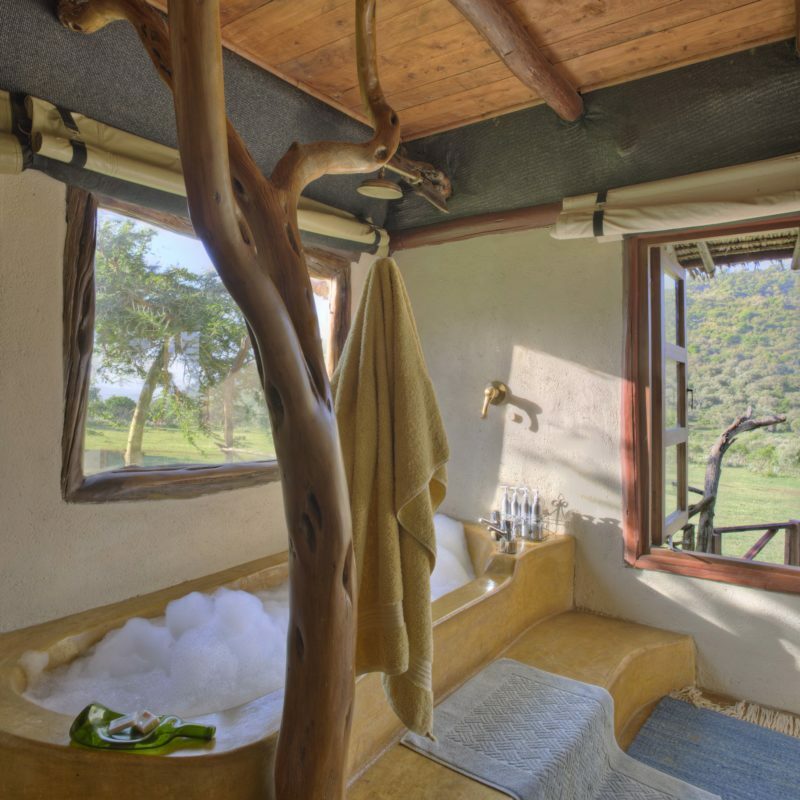 Or opt for the privacy and comfort of your own villa in the bush at Kanzi House, accommodating up to 10 people exclusively, with a jacuzzi and swimming pool. 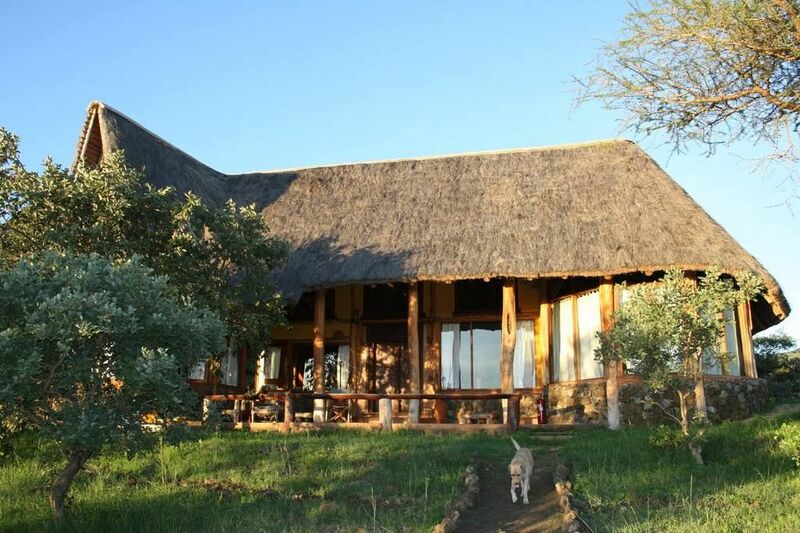 Activities and amenities: game drives, forest and bush walks, bush meals, payable extra activities: photography and birding excursions, Maasai village visits, spa treatments, transcedental meditation course, horse riding, air excursions to Tsavo and Amboseli, Kilimanjaro scenic flight. Arrive at Jomo Kenyatta International Airport, where a Saruni vehicle will transfer you to Wilson Airport for your flight to Samburu. Depart Nairobi in the morning*, arriving at Samburu an hour later, where your Saruni Samburu guide will meet you and transfer you to the lodge, or take you on a game drive. Afternoon game drive on Kalama Conservancy exploring over 200,000 acres of pristine wilderness in total privacy and sundowners with a breathtaking view. Early morning game drive into Samburu National Reserve to seek out the ‘Samburu Special Five’: the reticulated giraffe, the Grevy zebra, the beisa oryx, the Somali ostrich and the gerenuk, all rare species that occur only in this part of the country, and look for its well known larger wildlife including elephants, lion and leopard. Enjoy a picnic lunch before heading back to the lodge to relax for the afternoon. Enjoy a complimentary half hour massage upon arriving back at the lodge at the Samburu Wellbeing Space. Continue to explore the wonders of Samburu with a morning game drive and after lunch possibly head out on a nature walk discovering animals, plants and the caves in the local area with rock paintings, led by your skillful and knowledgeable Samburu guides. 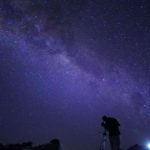 Evening game drive in Kalama Conservancy, the 200,000-acre private wildlife conservancy in which Saruni Samburu is located, ending with a bush dinner under the stars in the middle of the wilderness, and a night drive back to the lodge. The Samburu warriors dancing, candles and fire under the vast African skies, make this a truly magical experience, and one of the highlights of your stay. 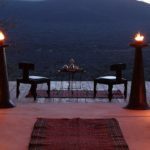 Depart Samburu in the morning* on your chartered flight and arrive in the Chyulu Hills two hours later in time for a delicious lunch surrounded by gorgeous scenery. Head out on an afternoon game drive and celebrate the sunset with a sundowner and the picturesque backdrop of Kilimanjaro. 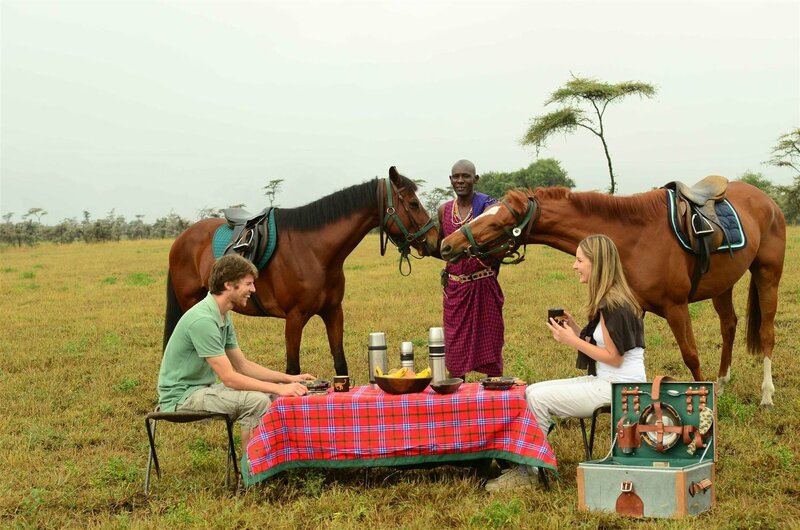 Wake up early for an exhilarating horse ride through the wilderness or a forest walk leading you to a bush breakfast. Set off on a scenic flight over Kilimanjaro, Amboseli and Tsavo if you choose, or relax for the afternoon, finishing off the day with a spa treatment. 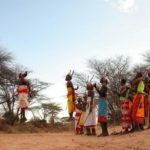 Embark on a Maasai Village visit and learn more about the fascinating culture of the area, and the remarkable relationship between Campi Ya Kanzi and the local Maasai communities. 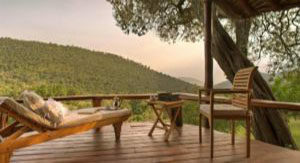 Game drive, horse ride or bush walk to a sundowner in a scenic spot with an incredible view. Enjoy your final morning waking up in paradise to a beautiful sunrise, the dawn chorus and the majestic Mount Kilimanjaro in the distance. 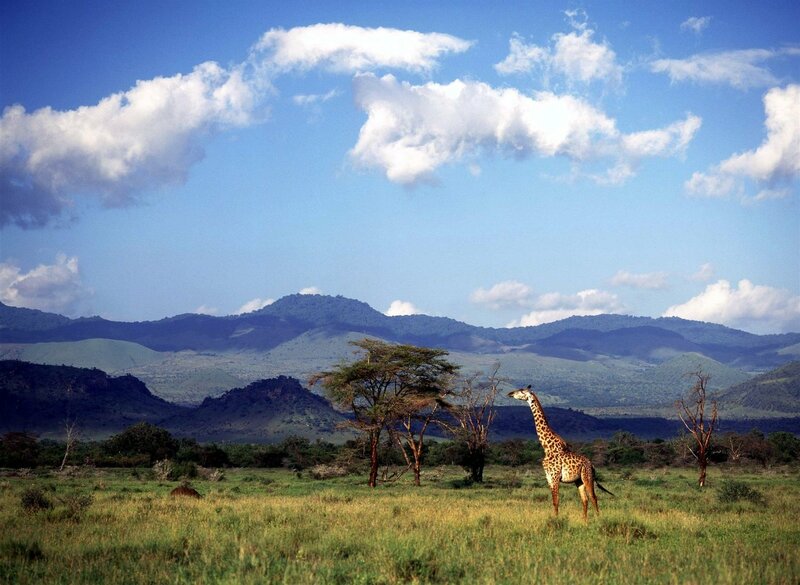 Depart on your charter flight and arrive at Wilson in Nairobi just over an hour later. The times of this flight will be arranged according to your international flight. A Saruni vehicle will collect and transfer you to Jomo Kenyatta International Airport. Depending on the time of your international flight, stop at the Talisman or Carnivore restaurant for dinner. 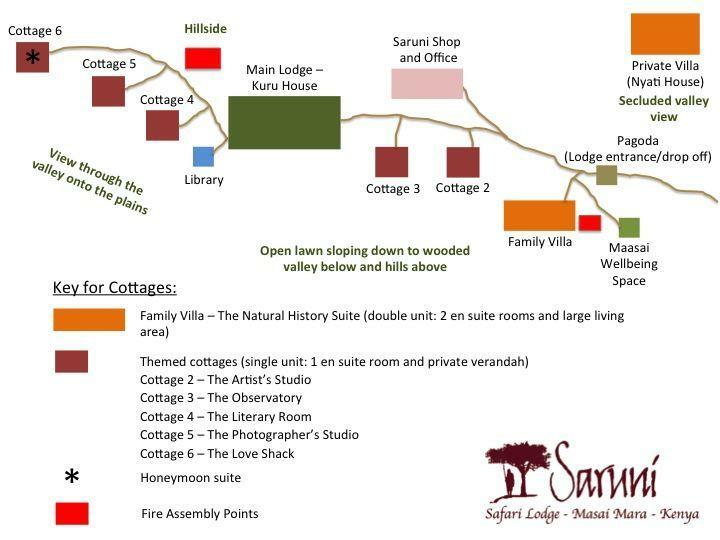 Note: The Saruni Tours team can modify and tailor this itinerary to suit your personal preference. Baggage allowance on internal flights is 15kg per person, preferably in small, soft bags without wheels. Seats on the schedule flights are subject to availability at confirmation. Rates with children or single occupancy are available upon request. *Flight times and durations may vary depending on airline and routing, and are subject to change. All guests travelling into Kenya with duty free plastic bags shall be required to leave the bags at the entry points and seek alternative carrier bags. We request that you do not carry plastic bags whilst visiting or working in Kenya as there are strict penalties for those caught with them.